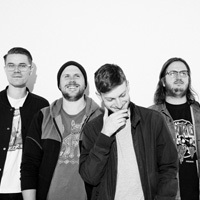 Since the release of their explosive debut in 2013, PUP have hurtled along a knife-edge between joy and despair with such velocity that it’s been impossible to look away. The Toronto punks have always been unlikely stars, even going as far as to quote a dire prognosis from singer Stefan Babcock’s doctor for the title of their second LP, ‘The Dream Is Over’, when it looked like he would never sing again. Since then, though, their popularity has sky-rocketed. ‘Morbid Stuff’ finds the group tentatively moving on from their underdog status without taking too many risks. It’s by no means a bad album, but it nevertheless finds them covering similar ground without the same sense of raw excitement as before. Sonically, the record will thrill anyone with a penchant for blistering riffs and catchy hooks just as well as their older material did. Half the tracks here stick instantly, with triumphant choruses and lyrics so emphatic in their cynicism they feel ready-made to electrify any sticky-floored venue around the world. The production is better than ever: the guitars are powerful and thick yet always clear, while the drums carry some serious weight and keep the trickier rhythms ticking to perfection. Just as well, because despite their poppier tendencies, PUP don’t mind playing around with rhythm. On the title track, for example, whole measures are dropped seemingly on a whim. While the song itself is a riotous, screaming mess in the best possible way, these lyrics capture the main problem with this album—it's become increasingly difficult to tell who the joke is on. 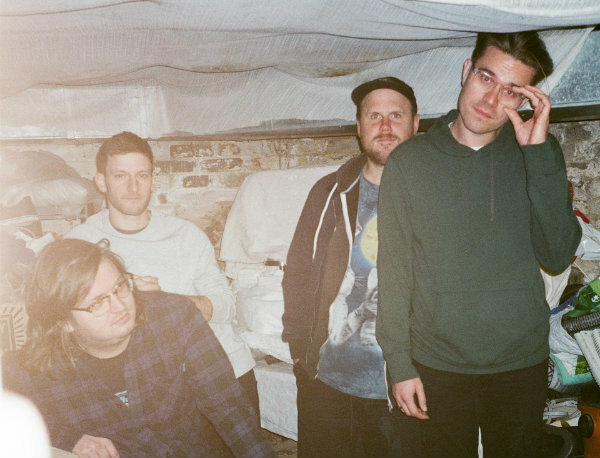 PUP have never been about thinking too hard, focusing instead on about raw emotion, and while these gags are fun they muddy the waters to such an extent that it feels as though the album pushes us away just as we’re beginning to connect. 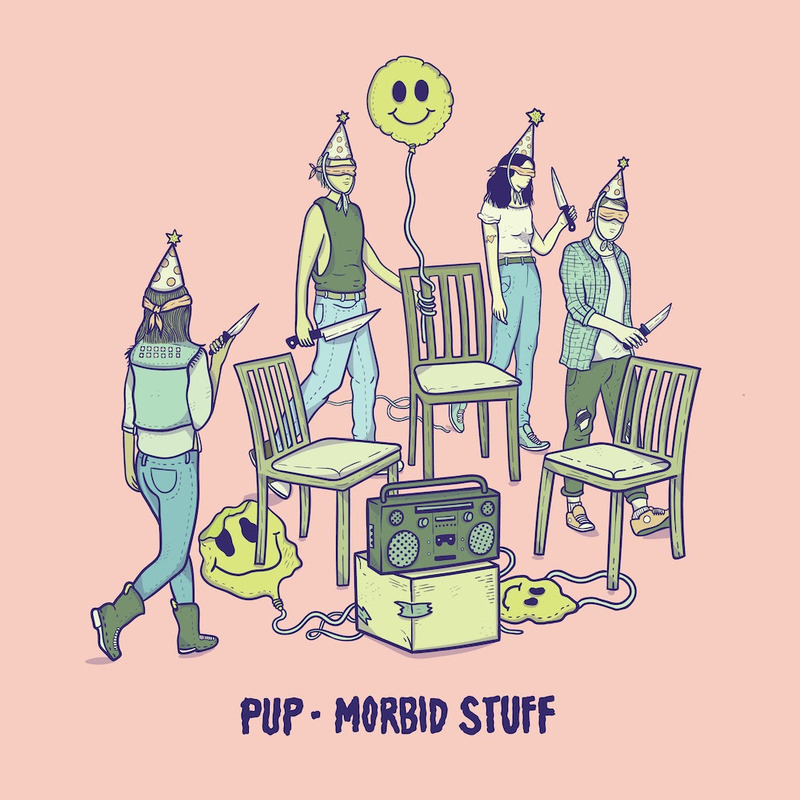 If you can look past the fact that this has all been done before, and get swept away by the sheer rebellious energy of the music, then ‘Morbid Stuff’ is perfect. If, however, you’re looking for something deeper, then you may find PUP’s sound beginning to wear a little thin. Click here to compare & buy Pup Tickets at Stereoboard.com. Photo: Vanessa Heins PUP have lined up a fresh round of UK and European tour dates for the autumn. Photo: Vanessa Heins PUP will tour the UK and Europe this spring.